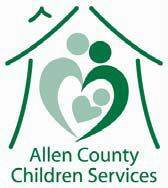 Allen County Children Services Community For Kids’ 2019 Breakfast: 7 a.m., Veterans Memorial Civic Center, 7 Town Square, Lima. LIMA — Allen County Children Services will host the Community For Kids’ 2019 Breakfast at 7 a.m. Thursday, April 25, at the Veterans Memorial Civic Center, 7 Town Square, Lima. There will be a program at 7:30 a.m. following a hot breakfast. RSVP to Greg Sowinski at 419-227-8590 or greg.sowinski@jfs.ohio.gov. The event is part of Child Abuse Prevention and Awareness Month.